With Australia day just one week away I decided to share an Australian classic for this weeks recipe. 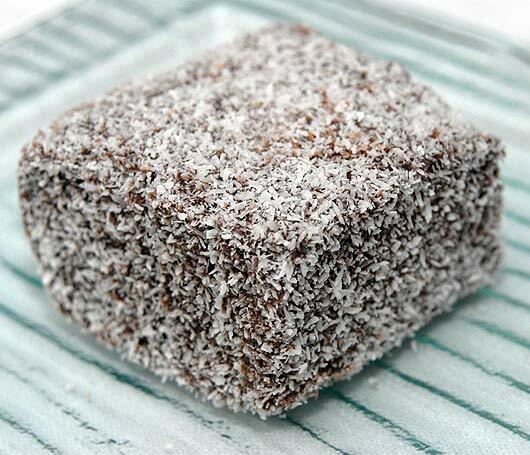 Lamingtons are a national treasure and a personal favourite. So this was an easy pick. I encourage you all (no matter where in the world you ma be) to give these bite size, chocolate cakes a go! Preheat oven to 180°C/160°C fan-forced. 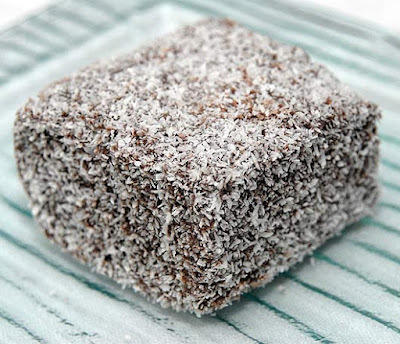 Grease a 3cm-deep, 20cm x 30cm (base) lamington pan and line with baking paper. Using an electric mixer, beat butter, sugar and vanilla until light and fluffy. Add eggs, 1 at a time, beating well after each addition. Sift half the flour over butter mixture. Stir to combine. Add half the milk. Stir to combine. Repeat with remaining flour and milk. Spoon into prepared pan. Smooth top. Bake for 30 minutes or until a skewer inserted in centre comes out clean. Stand in pan for 10 minutes. Turn out onto a wire rack and allow to cool completely. Cut cake into 15 pieces of square shape. Place coconut in a dish. Using a fork, dip 1 piece of cake in icing. Shake off excess. Toss in coconut. Place on a wire rack over a baking tray. Repeat with remaining cake, icing and coconut. Stand for 2 hours or until set.